My late brother, Robert Duncan Stevens, was the youngest member of our family. 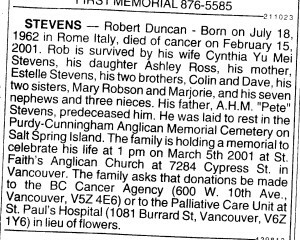 Robert Duncan Stevens was born on 18 July, 1962 in Rome, Italy while our father was working at the Canadian Embassy. Rob was both a Canadian citizen and a Roman citizen until the age of 18 when had to choose. One option meant serving in the Italian military. Robert Duncan Stevens as baby in Rome, Italy, in 1962 with our mother, Estelle. 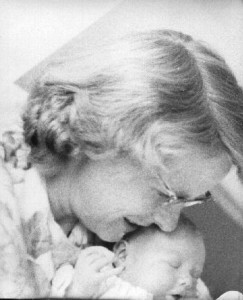 Estelle Stevens holding her youngest child, the newborn Robert Duncan Stevens. Rome, Italy, 1962. Dr. Arnott Hume “Pete” Stevens and Dr. Estelle Stevens had five children. 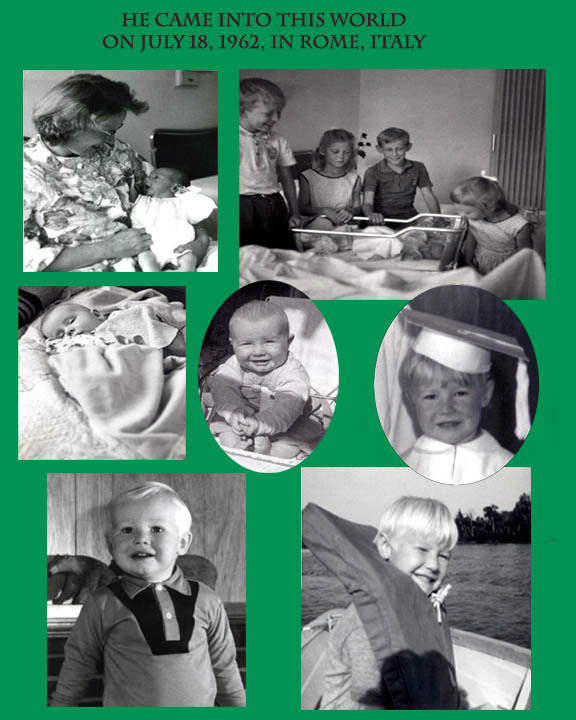 The sequence of birth was: Colin, Dave, Mary, Marjorie and Rob. 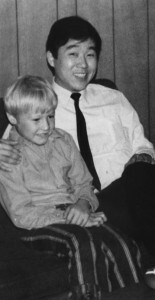 Rob and a Japanese officer during a visit to our home by some of the officers from the Japanese sail training ship, T. S. Nipon Maru to Vancouver, BC in 1971. 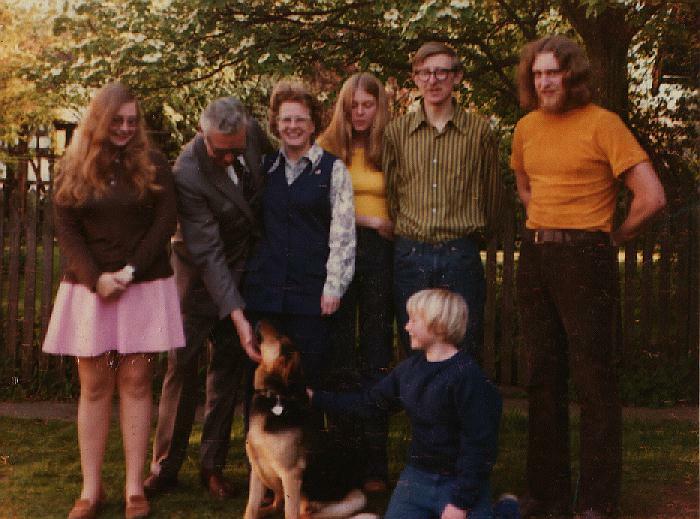 Rob attended a German school in Bonn, West Germany. He not only had to learn the subjects that were being taught, but he had to do it in German – a new language to him. To Rob’s credit he succeeded. 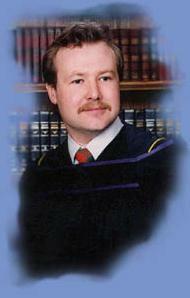 After returning to Canada, he attended Shawnigan Lake School on Vancouver Island for 2 years and graduated in 1980. 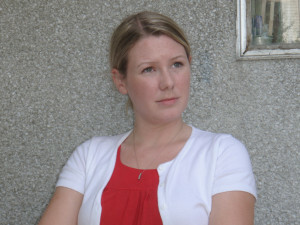 Rob later earned a Bachelor of Arts degree from the University of British Columbia. Rob Stevens teaching his daughter Ashley to roller skate. 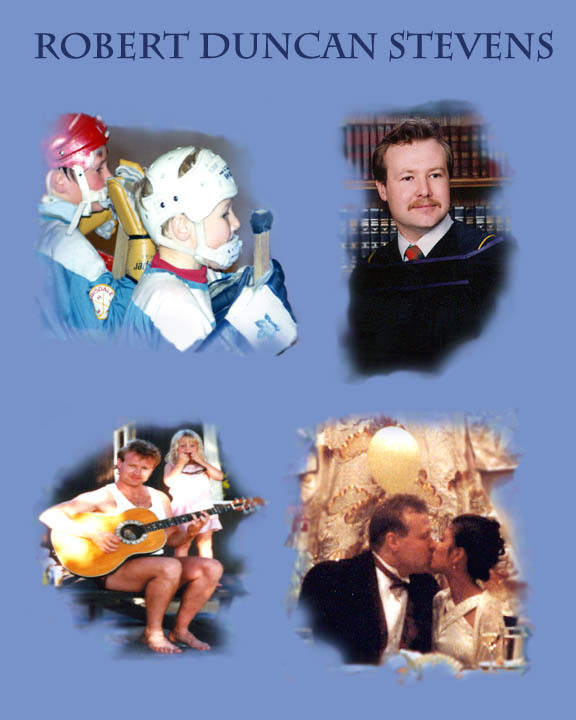 Rob died of cancer, peacefully, after a very long, brave fight, at 10:00 pm on 15 February, 2001 at St. Paul’s Hospital, Vancouver, British Columbia, Canada. His wife Cynthia, his eldest brother Colin and his dog “Baggins” were with him. The 15th of a month on the ancient Roman calendar was the “Ides”. Somehow that seems fitting for a man born in Rome. 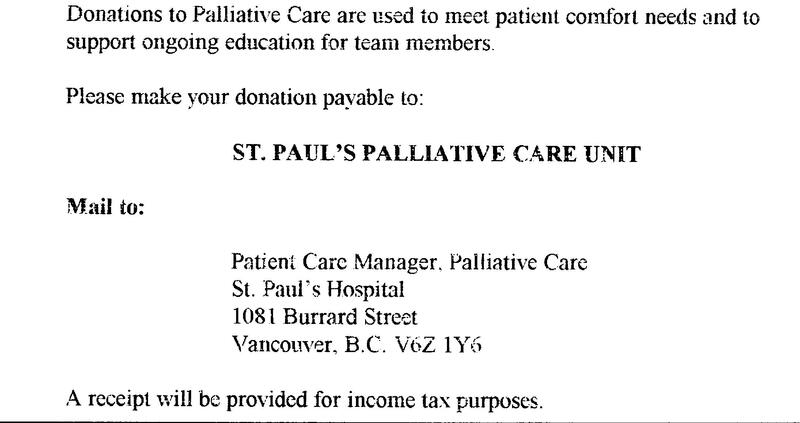 I want to thank the staff at the Palliative Care Unit at St. Paul’s Hospital. They are a wonderful bunch of people. They were extremely professional and did everything they could to help Rob be as pain free as possible and to maintain his dignity. The staff were wonderful towards the family and friends as well. We were allowed to visit Rob at anytime and were even allowed to bring in his puppy “Baggins” (How can you tell that Rob liked to read Tolkien’s books?). 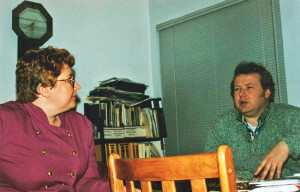 Many family friends also visited Rob. At one point I counted nine visitors in his room! One of the doctors on the ward was a friend of our mother’s and had met Rob before. Remember these people who spend their days and long nights caring for people in the Palliative Care Unit at St. Paul’s Hospital as well as their patients, and count your blessings. 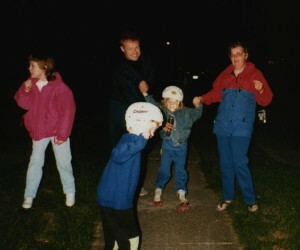 Rob was the youngest of five siblings – only 38 years old. He was laid to rest on Saltspring Island in BC in the Purdy-Cunningham Anglican “Memorial Cemetery” 200 metres East of the movie theatre off of Upper Ganges Road on Saturday 2001 February 17 with the Reverend Canon Dr. Kim Murray officiating. There was a sprinkling of snow on the ground. Rob’s grave is in the new section and is on the left as one enters the gate. The graveyard is in a beautiful quiet spot surrounded by trees and farms. Deer, bald eagles and other creatures of nature abound in the area. 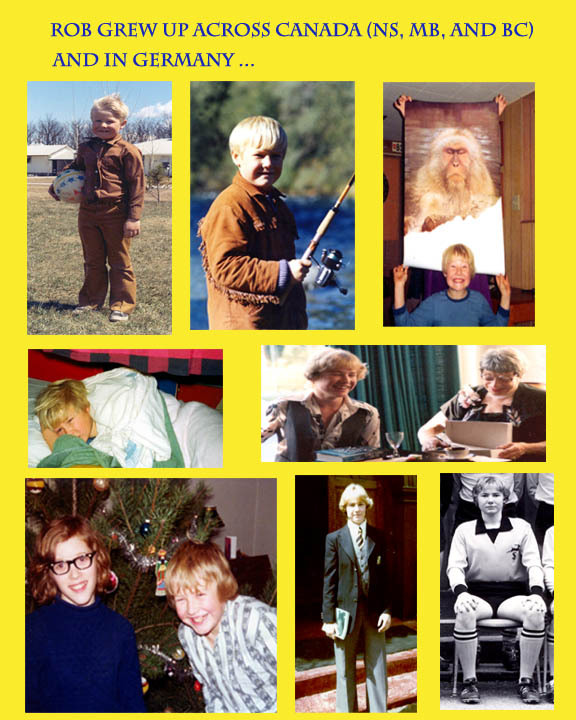 Rob loved the woods, and when he was sick, asked to go to the woods and lakes. 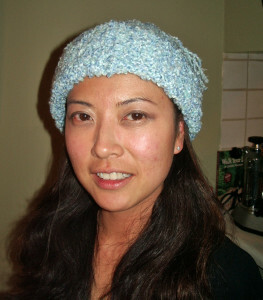 Our family enjoyed so many wonderful holidays on Saltspring Island in British Columbia so it is a fitting place. A Celtic cross was mounted in the middle of the cemetery and this ties in nicely with Rob’s Scottish heritage. Montage 1 of 3 showing Robert Duncan’s Stevens’ life. Montage 2 of 3 showing Robert Duncan’s Stevens’ life. Montage 3 of 3 showing Robert Duncan’s Stevens’ life.